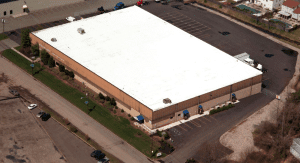 James Kate Roofing offers high quality commercial roofing. Our timely services provide an end-result you can trust in longevity. Our team of certified commercial contractors has served the Mansfield area for nearly 10 years. Whether you need a full replacement or commercial roofing repair in Mansfield, count on James Kate Roofing for quality you can see. Speed and efficiency are our two goals heading into any commercial roofing project. We pride ourselves on customer service and make sure your needs are met and communicated through each step of the process. One of the main qualities of a good commercial roofing contractor is its reputation. A good roofing company has a good reputation and has been dealing with the various roofing needs of many commercial property owners for years. So, if you are planning to hire a commercial roofer, make sure to find the one with a good history. It is important that a commercial roofing contractor has a permanent address so that clients can easily contact them. If a company has a local address, then they are more likely to be there when you need them and not moving from state to state chasing storms. Every roofing company must have excellent customer service as property owners may need roofing assistance on a escalated timeline. Don’t let a contractor make you look bad because they do not care about customer service. Our top priority is taking care of your tenants so they are happy and consume less of your time. A good commercial roofing company provides the best quality commercial roofing services that are guaranteed to deliver results and satisfaction. Aside from providing the best services, a company that was established with a good reputation also offers its services at affordable rates to help its consumers save money without sacrificing quality and other essential factors in commercial roofing. Knowing the qualities of a good commercial roof contractor can give you an edge most particularly if this is your first time to hire one for your commercial property.